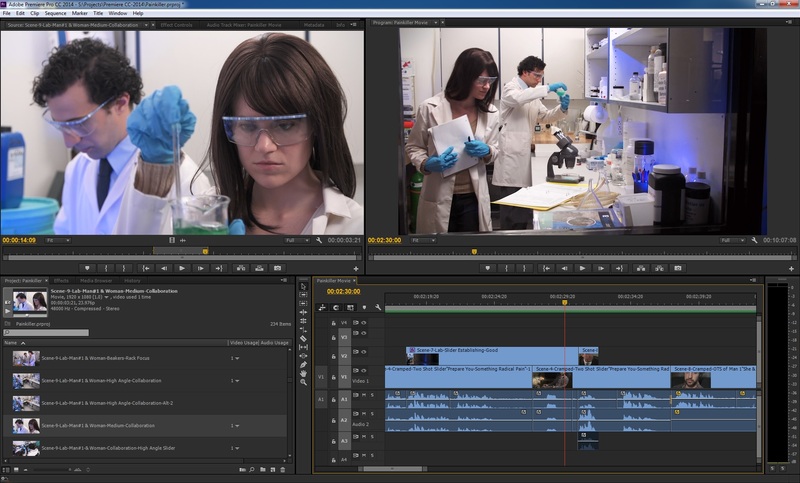 We’re happy to report excellent postproduction progress on PAINKILLER! 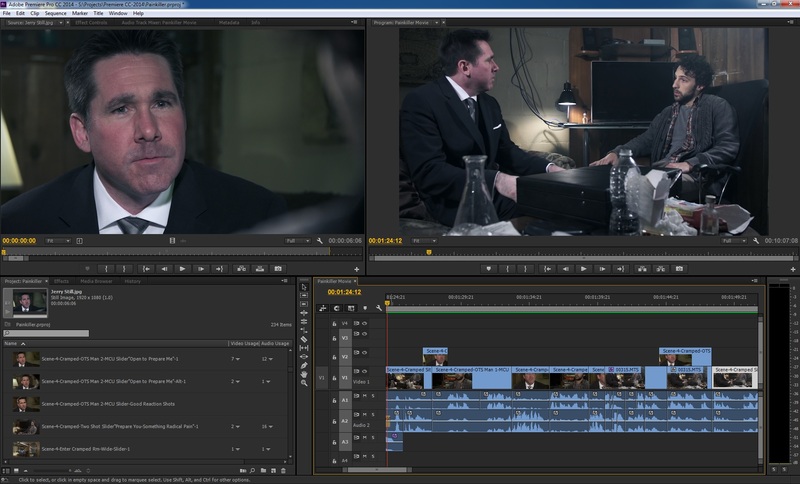 Our awesome editor, Jeffrey S. Gould (also our director of photography and an executive producer), has been putting in long hours, logging footage, editing, color grading, as well as creating visual effects to enhance the film. This is the beginning of the collaborative process that will include our sound designer and composer, Barbara J. Weber, as well as director Jeremiah Kipp and Jerry Janda (writer, executive producer, and co-star). We can’t wait for you to see the end result. For now, here’s a taste of what’s to come!